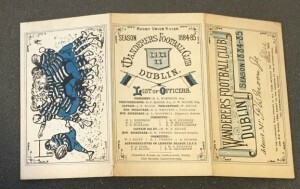 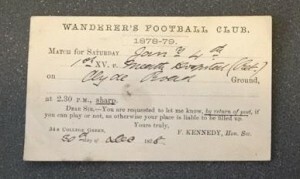 Memorabilia from the late 1800’s – Wanderers F.C. 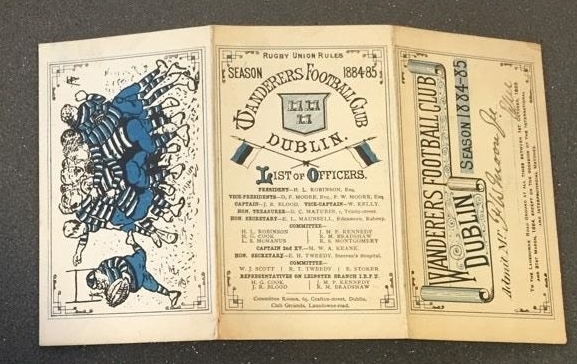 We’re very appreciative of David Hugh Clarke who Tweeted into the club photo’s of some very early club memorabilia from Wanderer Sir Frederick William. 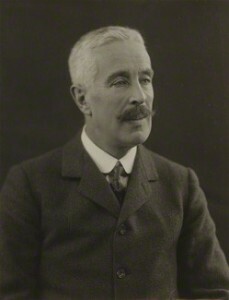 Sir Frederick was President of the Royal Horticultural Society and Keeper of the Royal Botanical Gardens in Glasnevin for many years. 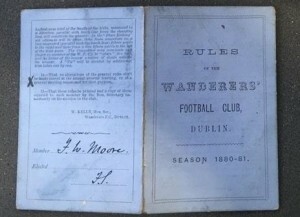 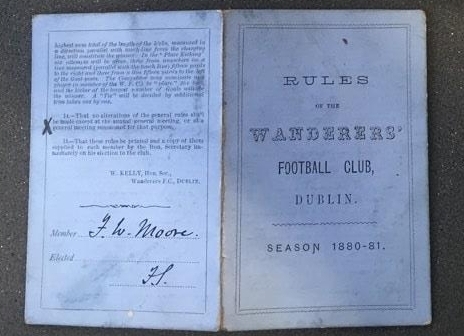 Shown below are Sir Fredericks Club membership booklet from 1884-85, the Club Rules for the 1880-81 season and a team selection slip from 1878-79 season.